I sure enjoyed being interviewed by Lauren Fitch at The Pioneer here in Big Rapids. She was kind enough to let me pick my favorite Illustrations. Right now its in the 40’s. Very strange for early January. Here is the article. courtesy of Lauren Fitch at The Pioneer Group. BIG RAPIDS – Wendy Nystrom became an author of children’s books “totally by accident.” Now after several years of searching for a publisher and completing three books, Nystrom can’t imagine life without writing. 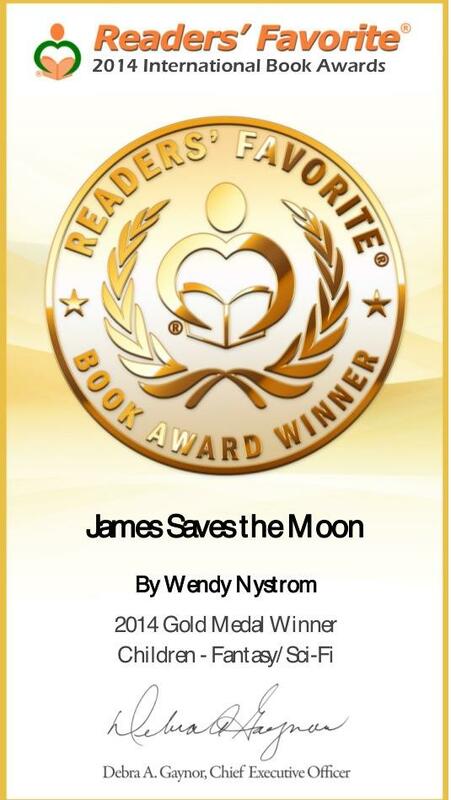 Nystrom’s first book, “James Saves the Moon,” was published by Solstice Publishing as an e-book in December 2010. In April, “James Saves the Moon” came out as a print edition. “Helga Returns,” the next in her series, was released as an e-book in October before being printed in November. Her latest book, “Tomfoolery and 13 Yule Lads of Iceland,” is now available as an e-book. One more book will complete the series of James and Syvok adventures, set in Iceland with a cast of mystical characters. While the writing came easily for Nystrom, she soon realized getting her work published would be a much more difficult process. After penning “James Saves the Moon” in 2004 while living in Iceland, she spent six years editing, finding an illustrator and searching for a publisher. She happened upon graphic artist Jim Weidman, from Virginia Beach, Fla., one day while searching online. Weidman illustrated her first book, before Nystrom began working on her next two books with Big Rapids Public Schools alumna Kelly Murray, who graduated from Ferris State University in 2008 with a degree in TV digital media production. With encouragement and editing help from her husband, James, and friends, Nystrom researched numerous publishers looking for one that was compatible with her stories. She sent out 150 submissions, heard back from 25 and finally found Solstice Publishing. Nystrom found out Solstice had offered her a contract while making dinner one evening. Her twin daughters, Alexandria and Bethanny, 9, were the first to know. It’s easy to see how Nystrom’s family has influenced her writing. The main character in her books, James, is named after her 14-year-old son. Many of the character James’ adventures are prompted by real-life conversations with her son. James’ father in the stories works at a university, similar to Nystrom’s husband, who is an assistant professor of math at Ferris State University. The Nystroms lived in Iceland for two years, which is the setting for the adventures in her books. The fictional stories are embedded with facts about the Icelandic countryside, its culture and legends. Dragons play a key role in Nystrom’s books, which stems from her love for the mythical creatures – as evidenced in a dragon pendant and necklace the author wears on a regular basis. Every illustration in Nystrom’s books has a dragon in it. The main dragon, who helps James in his adventures, is named Matt, after one of Nystrom’s son’s friends from Texas. In her second book, she added twin dragons, representative of her daughters. Murray’s father, Dave, introduced the author and illustrator. Dave, as a member of the BRPS school board and a professor at Ferris, knew Nystrom and connected her with his daughter. The whole reason Nystrom started writing children’s books was for her son. One year after her first book was published, Nystrom has just recently begun considering herself a writer. Still, she realizes the hard work ahead in marketing and completing the final children’s book of the series. She also hopes to write a science fiction piece and a young adult novel. For more information on Nystrom’s books and how to order them, visit her “Wendys Bookcase” Facebook page. Posted by Lauren Fitch on Jan 4 2012. Filed under Local News. Yeah Merry Christmas to me!